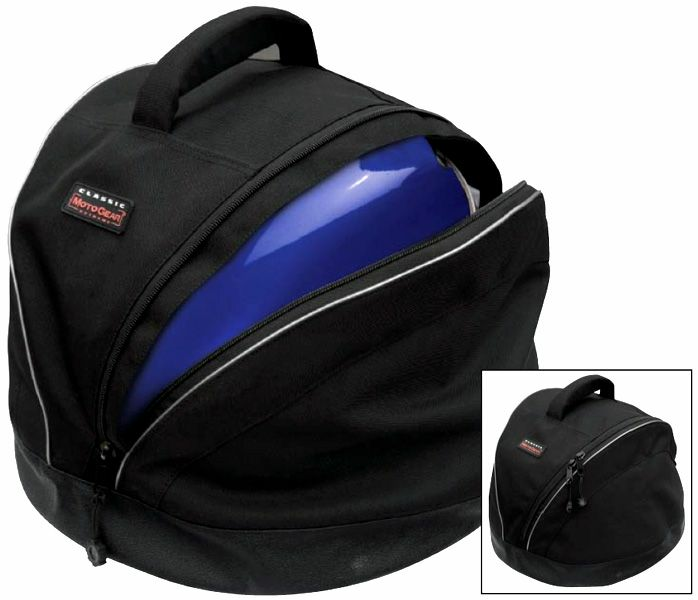 The MotoGear Motorcycle & Scooter Helmet Bag By Classic Accessories is a great item for storing and protecting your helmet from dust, scratches and dings during storage and transport. The bag features a tough UV resistant ProtekX Plus fabric with PVC backing for extra weather and abrasion resistance. The inner fleece lining will not scratch or harm your helmet and a large zippered opening makes it easy to to access your helmet. ATTENTION STATE OF CALIFORNIA CONSUMERS WARNING: CANCER AND REPRODUCTIVE HARM PLEASE VISIT WWW.P65WARNINGS.CA.GOV FOR MORE INFORMATION.